Country Side Drive – Kathmandu / Kodari / Friendship Bridge. Kailash Kora – Including Dolmala pass – 5650m. Visit Holy Lake Mansarovar with Monasteries. Mount kailash manasa sarovar yatra package is the holiest pilgrimage tour in Tibet via Nepal. 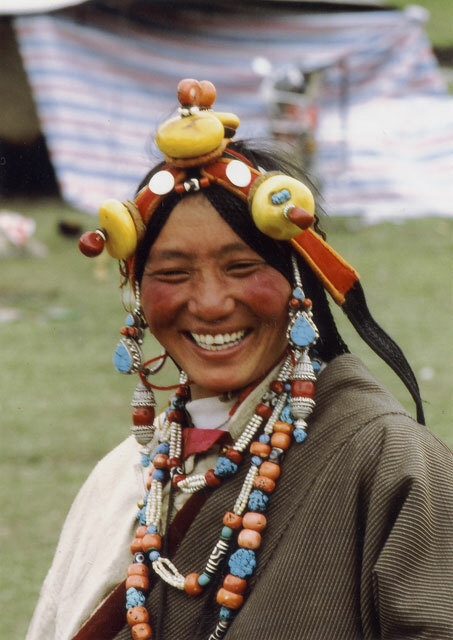 All the travelers starting for this tour will get the chance to visit mystical tibetan highlands. And furthermore they also get to encircle Mt. Kailash, the holiest place on the earth. There is a belief that after being born as a human, one should visit the abode of Lord Shiva at least once in a lifetime. Lord Buddha also successfully completed the Kailash circuit in 5th B.C .Mount kailash manasa sarovar yatra package is drive in drive out tour .It initiates and ends at Kathmandu with whole lot of Tibet touring experience. Starting pilgrimage tour from Nyalam and Saga we head towards holy Mansarover Lake. Puja and small dip is performed on the holy lake followed by visit to Chui Gompa and immerse ourselves in its immense natural beauty. Further couple of hours drives to from Tarboche, we arrive at initiating point of Kailash Parikrama. Next full day we will be trekking around the great abode of Lord Shiva. Staying overnight at guest house, in upcoming day encircling Mt. Kailash process ends and we drive to Paryang. Finally we trace our route back to Saga, Nyalam and cross Nepal – Tibet border to arrive at Kathmandu. 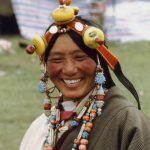 Kailash yatra in Tibet also gives an insight to Tibetan culture and lifestyle along visit to unique natural landmarks and highlands. This Kailash tour is enduring and comprises good health and physical condition. Join Mt. Kailash and Mansarovar tour with Euro Asia and get the immense blessing from Lord Shiva along the feeling of peace and tranquility. Welcome by our representative at the airport, transfer to hotel in Kathmandu. Later enjoy a welcome dinner in the evening. After breakfast we are going to do some sightseeing activities today. As planned, we are going to explore some of the most iconic UNESCO World Heritage Sites of Kathmandu city: Swoyambhunath Stupa, Patan City, Kumari Temple and lastly Tibetan Refugee Camp evening drive back to hotel. Today marks the beginning of our amazing trip. As planned after having our breakfast, we shall be escorted to a private tour vehicle and then leave the bustling Kathmandu city by taking a drive to the lovely Nyalam town. Driving along the scenic hill areas of northern Nepal, we follow the Araniko Highway all the way up to Kodari where we are to complete some government formalities and march our way inside Tibet. After leaving Kodari, we will in a few moments reach Zhangmu town (2,225m). And from here, Nyalam is only 35 km away. Later on, we arrive at Nyalam town where we shall stay for the overnight and end the day. 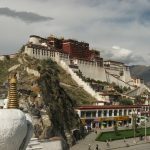 Like always we shall wake up and have our breakfast but this day is particularly different as it is your first morning in Tibet and we get to pass through some iconic places. So, continuing on with our drive we head towards a new destination called Saga (4600m) which is a small developing town located close to the Bramhaputra River. Today we need to cover an approximate distance of 250 km, hence this day will be a long day during which we drive through the 5,200-meter-high Thong La Pass. This pass can be reached within few hours after leaving Nyalam town. From Thong La Pass, travelers can witness amazing view of the entire Tibetan landscape including the scintillating snowcapped summit of Mt. Shisapangma – the highest mountain located inside Tibet. Later on, after driving for about 8-9 hours, we shall arrive at Saga town in the evening just in time to catch the sunset over the horizon. After having our breakfast, we take drive towards Lake Mansarovar today. Our drive takes us through the dramatically arid plain terrains of Tibetan plateau and passes several indigenous Tibetan villages. Travelers can see distant but heart-warming views of the mountains and as the drive goes along a flat region of Tibet, it is a comparatively easier drive today. Here onward, we head towards Hor Quo and then continue with our drive to cross the Mayum La Pass which is a high mountain pass at a high altitude of 5,225m located southeast of Lake Mansarovar. This pass is locally referred to as Mariám La. Another noteworthy point of this day is that pilgrims and travelers can get the first glimpses of the divine Mt. Kailash with their very own eyes right in front of them as they get ever closer to Lake Mansarovar. En-route towards the Mansarovar Lake, we can also observe the popular Rakshas Tal and after relaxing and stopping at Lake Mansarovar, we shall drive towards Chui Gompa to end our day. Stay overnight at Chui Gompa. As per our itinerary today we are scheduled to head towards Darchen but before that we shall remain at Chui Gompa for a while in the morning and explore around to view the beautiful top of Mt. Kailash. 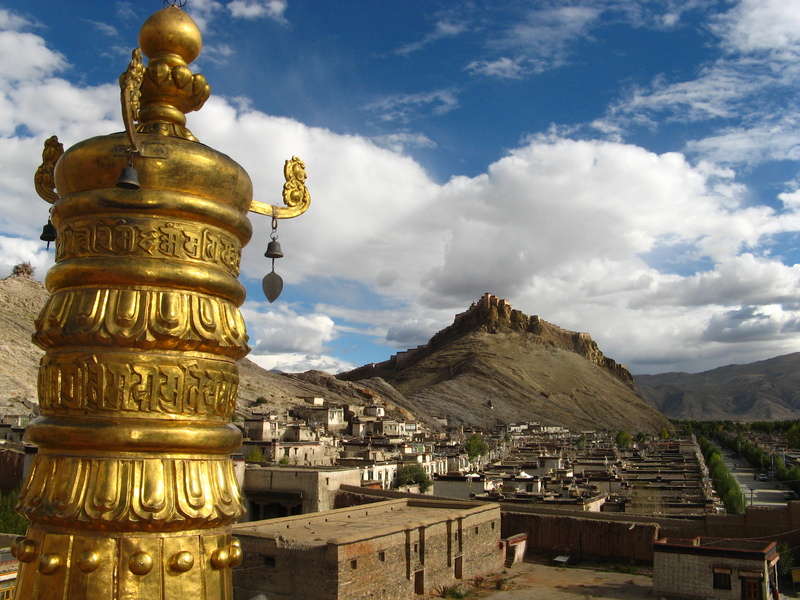 Chiu Gompa is a small monastery which is built into the cliffs on a hill near to the shores of Mansarovar Lake. Proceeding ahead, we shall now leave Chui Gompa and drive towards Darchen which is also the beginning and ending point of the pilgrimage around Mt. Kailash. 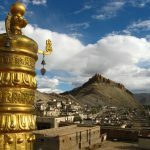 Leaving Darchen town, we shall now head towards Tarboche which is one of the important places for pilgrims who wish to circumambulate Mt. Kailash. Shortly after exiting Darchen, pilgrims arrive at Tarboche which is merely 13 km away from Darchen. We are to start our Kailash Parikrama from Tarboche. Hence, after arriving at Tarboche, we start trekking upward to Dira Puk which is situated at a high altitude of 4,775 meters above sea level. Along the way you are sure to be accompanied by numerous Buddhist and Hindu pilgrims walking along the same route on the same direction. Not only that but you can also observe followers of Bon religion circumnavigating in the opposite direction. As we trek onward for 4 km, we reach Dira Puk where we can take some much-needed rest and have a proper good night sleep. Stay overnight at Dira Puk. It’s another beautiful day and so we wake up with a very exciting feeling to continue with our trek towards Zhuthulphuk today. Our pilgrimage journey aka Parikrama is destined to take us even higher so we shall fill up our tummies with nourished breakfast and then proceed further by ascending higher to the top of Dolma La Pass. This pass can be a troublesome part of this entire day, as it goes at higher elevations where you might feel some dizziness or weakness of some sort due to a reduced amount of air density. Nevertheless, this trek to Dolma La Pass can give you a very overwhelming panoramic view of the entire Tibetan plateau which you can cherish for your entire lifetime. From here onward, we begin our descent down to Zuthulphuk via Gauri Kund which is a very scared site for Hindu believers. This downward path is very demanding due to rocks & loose stones so here it’s necessary to walk very cautiously. After a proper good night sleep, pilgrims need to wake up and eat their breakfast before taking on the final trail of the entire pilgrimage journey. Today marks the end of our anticipated pilgrimage as we head back to Darchen from Zuthulphuk. Compared to yesterday, your trekking trail today is much easy as you walk upon a flat terrain much of the time. However, after reaching Darchen, we again get escorted inside a tour vehicle (Jeep) and then start driving towards Paryang. Upon arriving at Paryang, you can eat your dinner and sleep for the remaining night. While enjoying captivating natural beauty all around you, we along with our every trekking crew shall drive back to Saga. Today is going to another long day of the entire journey as the distance between Paryang and Saga is approximately 185 kilometers. Hence, our Jeep drive takes us across the vast open landscape of Tibet while providing us great mountain views and parched valleys. As we continue on with our drive along the black pitched roads, we shall reach our final destination of Saga. Today our drive can take us around 6-7 hours so after having our breakfast, we again take a drive on a small road and start capturing the last memorable shots of this beautiful region. Enjoy the spectacular natural vista as tomorrow we head back to Kathmandu city. And after few moments, we shall again reach at the Thong La Pass which we had previously crossed over to reach Saga from Nyalam. Additionally, you can get the eccentric views of Pekutso Lake on the way with the mountains as a background behind it. It is your last day in Tibet as we are going head back south to Nepal by following the same previous route which was used by us during our beginning days of the trip. And after arriving at Kathmandu city, a representative of Euro-Asia will transfer you to your hotel where you can take off your shoes, have a shower and enjoy the rest. Later in the evening enjoy Farewell Dinner. Free till Departure, Transfer to Airport to connect flight to onward destination. Drive Kathmandu / Friendship Bridge / Kathmandu by Private Vehicle. Transport in Tibet by 4 WD Jeep. 10 Days Kailash Trip with English Speaking Tibetan Guide and accommodation in Lodges, food services from Nepali Sherpa Staff on AP Plan. Food, accommodation, Salary, Insurance, Medicine and Visa for all Nepali Staff. 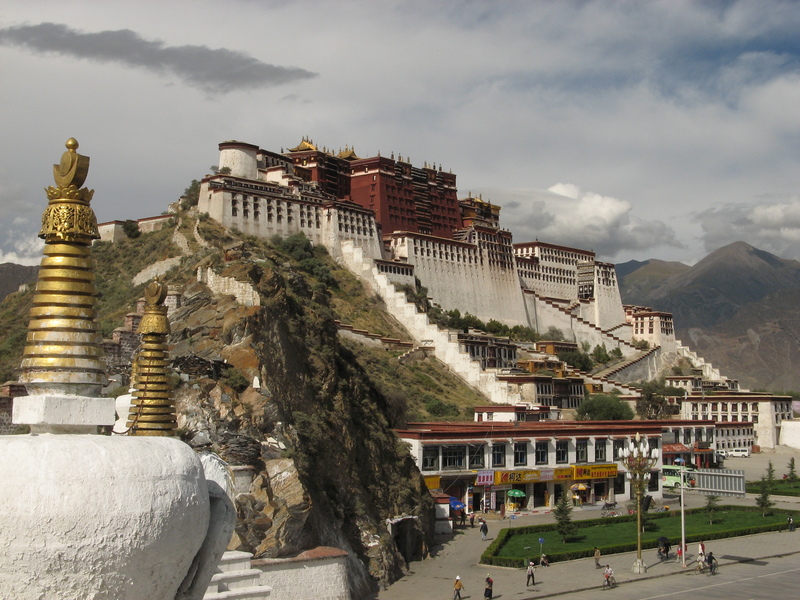 English Speaking Guide, Tibet Permit, Visa and Kailash Permit for Group. Yak and Yak man for Kailash Kora. All Kitchen Gears and Oxygen Cylinder with set in case on emergency. International Arrival and Departure transfer in Kathmandu. 03 Nights Accommodation in Kathmandu with daily breakfast. Full day Sightseeing tour in Kathmandu with guide and entrance fee. Duffel Bag, Sleeping Bag and T-shirt. Nepal Visa, Re – entry Visa. Any Airfare and Airport Taxes Any cost occurred due to landslide, political disorder or natural calamities or any unforeseen reason etc. Any other expenses which are not included in price include section.